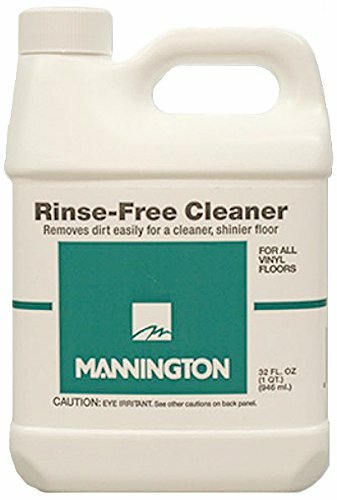 Mannington Rinse-Free Cleaner removes dirt easily for a cleaner, shinier floor. This rinse free cleaner is a concentrated formula that’s quick & easy to apply, with a pleasing lemon scent. Dries to a clean shine, leaving no dulling film. Use on all sheet vinyl & vinyl tile floors. No Rinsing Required.